Youssef CHRAIBI holds 20 year experience in the property and hospitality industries and combines global market knowledge gained in 4 continents. Youssef started his career in Property and Asset Management in Canada. He then moved to UAE and contributed to the development of high-rise office buildings in new economic zones for the Government of Dubai. He returned to Morocco with EMAAR to lead the development of large scale projects, including mixed-use urban district development. Youssef graduated from both La Sorbonne University in Paris and HEC Business School in Montreal. He has been a visiting professor at the American University of Dubai and HEM in Rabat. 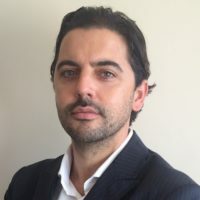 He founded MAGESPRO in 2011 along with his partner Paco BRICENO to assist public and private clients in their success and completion of their projects. Later in 2017, he founded MAGESPRO Africa to pursue emerging opportunities in the continent.